The Churches’ Commission for Migrants in Europe (CCME) is the ecumenical agency on migration and integration, asylum and refugees, and against racism and discrimination in Europe. Members are Anglican, Orthodox and Protestant Churches and Councils of Churches as well as church-related agencies in presently 18 European countries. CCME cooperates with the Conference of European Churches and the World Council of Churches. CCME has institutional relations to many other Christian Brussels based Organisations, as well as to international and inter-governmental Organisations. 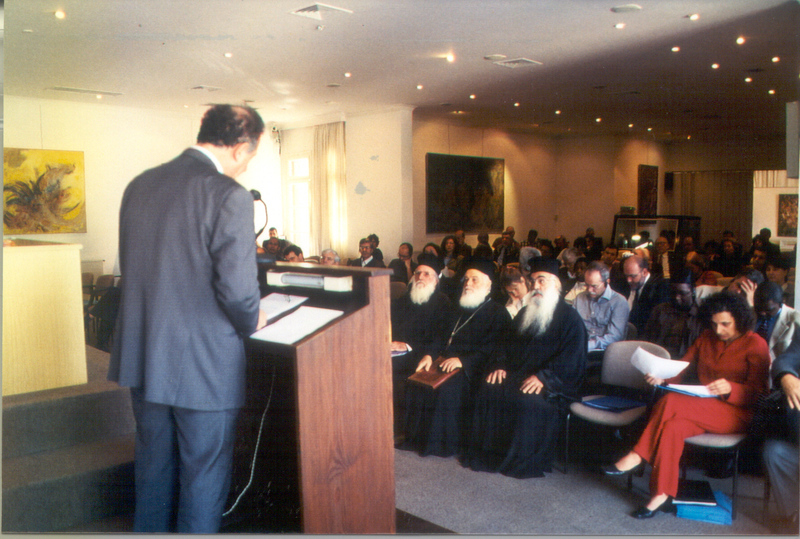 CCME is in constant contact with the Organisations situated in the Ecumenical Centre. 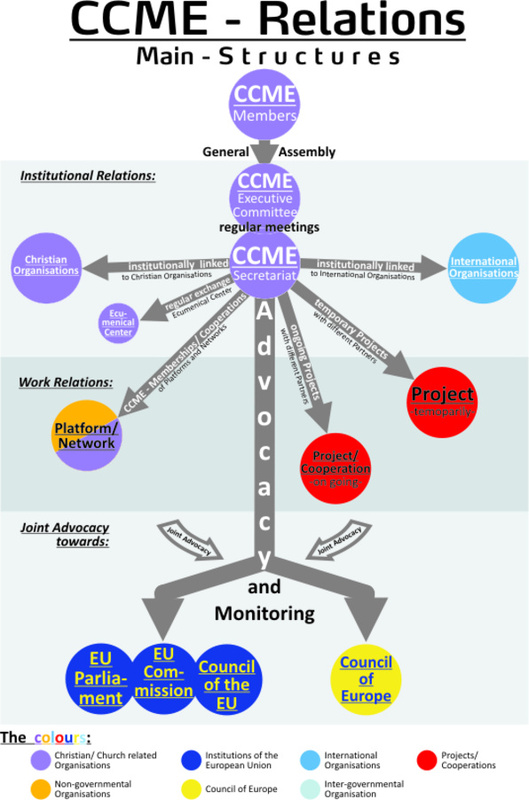 CCME is a member of and cooperates with many platforms and networks with other NGO’s to foster the aims described in CCME’s mission statement. CCME is working on different projects – temporarily and ongoing – and is doing research with various partners in our work fields. All activities aim to monitor European migration policy and to advocate for an inclusive policy at European and national level for migrants, refugees and ethnic minority groups, based on our commitment to strangers, responding to the message of the Bible, which insists on the dignity of every human being.